The Stratos 911 is our ultimate 'high-back' reclinable suspension seat. The Stratos 911 features a full height backrest and our LTSS suspension system which dramatically reduces harmful vibration. Vibrations are further isolated by Sisiara® webbing and thick foam cushion. 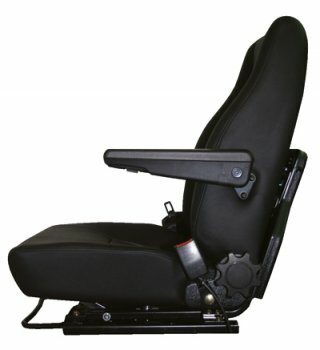 A precise reel-type recliner mechanism provides accurate backrest adjustment. 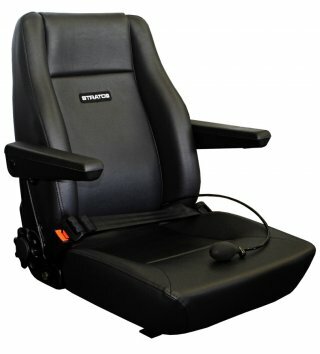 The Stratos 911 is also available with fold-up adjustable armrests (optional). UV protected, marine grade vinyl trim.